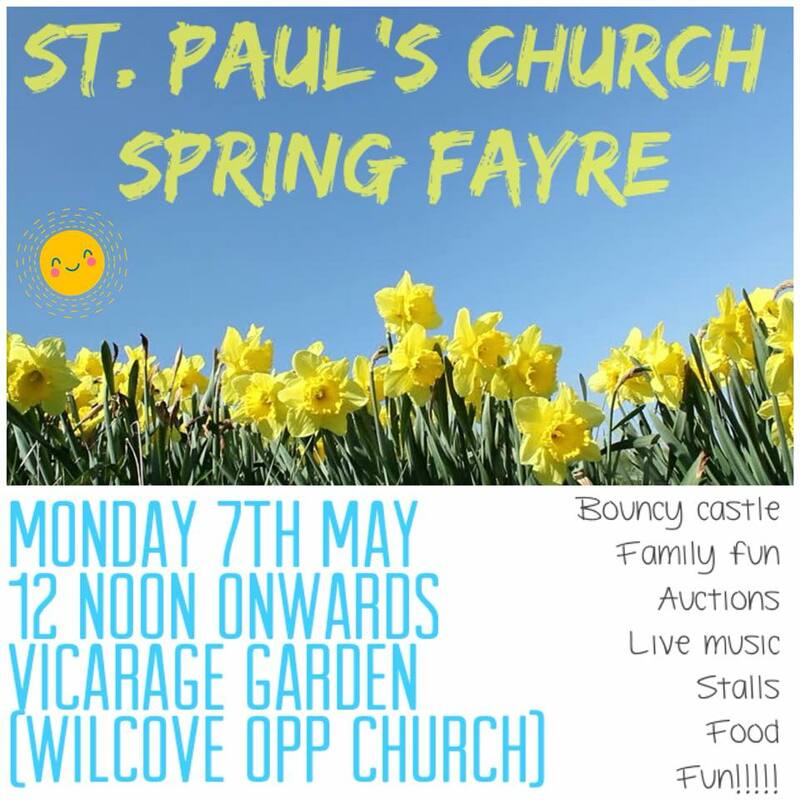 St Paul’s Church annual Spring Fayre will take place on Bank Holiday Monday 7th May 2018. Fun for all the family!!! Stalls, auctions, cakes, plants, food and drink, face painting, bouncy castle, live music! 12 noon onwards in the vicarage garden (Wilcove) opposite church. The fayre will move inside church if weather is poor.